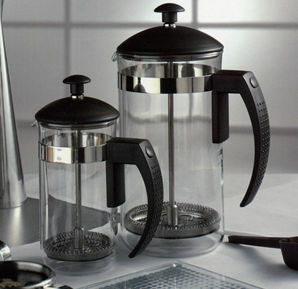 Black stylish framed cafetiere, available in two sizes (3 and 8 cup). Glass Beakers. 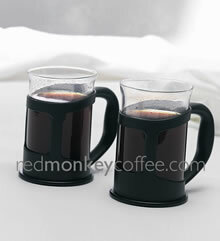 Matching cups also available in the range. 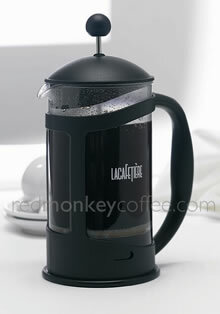 Heat resistant glass beaker with contemporary styled handle and lid. 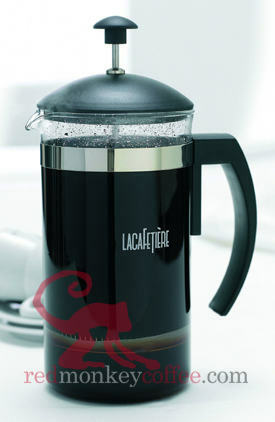 Available in black only, with free coloured coffee scoop, and four sizes. Dishwasher Safe.